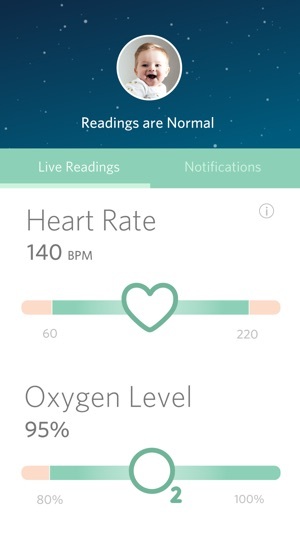 The Owlet Smart Sock 2 baby monitor uses clinically-proven technology to track your infant's heart rate and oxygen levels. Using Bluetooth, the Smart Sock sends this information to the base station which is designed to notify you with lights and sounds if something appears to be wrong. 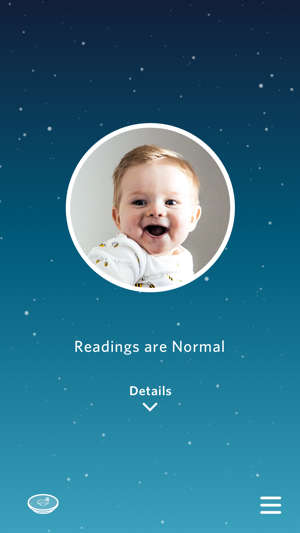 Using Owlet's app, you can view real-time wellness data and receive direct notifications on your phone. The Owlet Smart Sock App requires the purchase of the Owlet Smart Sock. To purchase an Owlet Smart Sock, please visit owletcare.com. What to Expect - "Best Baby Monitor of 2017"
The Bump - "Best Wearable Baby Monitor of 2018"
CES Baby Tech - "Best Baby Monitor of 2017"
Easily the best monitor for peace of mind. We’ve purchased 4 monitors over the course of our 3 kids, and I always do a ton of research before buying (especially something this pricey). It’s been amazing so far! Put it on day one with baby sleeping, and it woke us up to her choking on spit up. Similar thing happened to our first son, where he was choking so quietly that even though my wife was awake, it took her a while to realize what was happening. One of our nurses with this delivery told us a similar story about another family, and she said it happens much more often in the first few days than people think, especially with c-sections. Luckily everything turned out fine both times, but the peace of mind the monitor brings cannot be understated. Side note, haven’t had a false alarm yet, which is my biggest complaint about our other monitor that detects movement... nothing better than being woken up in a panic, rushing in and finding baby is just all the way in the corner, and the monitor isn’t sensitive enough to pick up the movement. Many many hours of sleep needlessly lost. If I could make a suggestion, it would be great if a sound feature could be installed in the base station. You could use the app and your phone as a receiver to know when baby woke up...That way I wouldn’t have to have 2 monitors in the room. To fully monitor the baby. This is great for what it does, but it won’t let you know baby is awake. Our second daughter was moderately premature at 34 weeks. She required a week in NICU with underdeveloped lungs and we ordered the owlet before she came home. The reassurance that the owlet gave us cannot be understated. As 2 nurses we both probably overthink things and were both made comfortable by that amazing green glow of the base station and the numbers the app provides. She came down with RSV at 4 months and it was even more comforting then. Watching her numbers normalize during breathing treatments even when her breathing was bad was great. She now has aged out of the owlet and we are confident with her without it because of the 18 months of reassurance the owlet gave us. We did have issues with charging port and went through a couple of sensors but the customer service team was seriously as good as any I’ve ever dealt with. They understood this was our baby and took it as seriously as we did. The shipping on replacement parts was fast and they did it without question or hesitation. Our third daughter was premature without issue and has been wearing the owlet 2 every night. Again I cannot understate the comfort and reassurance the owlet provides. I make a recommendation for every future parent or grandparent I come across to get their baby the owlet. It’s not cheap, but besides a car seat there is no other purchase that can provide the safety that we all want for our babies. Thank you owlet. I NEVER write reviews but I will for this product! Being a first time parent is nerve wrecking but Owlet has gave us such a peace of mind when our child is asleep. When our child was first born we were constantly checking to see if he was breathing and okay. As first time parents like all do, we’re always worried. 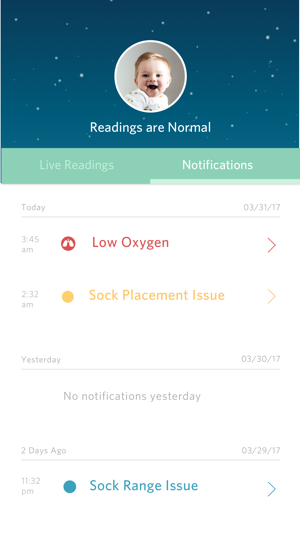 This device and app lets us know everything is okay wether it be the sock placement is wrong or if he is too far away from the base station and instead of getting up and check on our child and look to see if he’s breathing every 30 minutes we can wake up and see the green light at the base station as well as check our phones to see Oxygen levels and his heart rate (we still watch him though). Plus see what his sleep pattern is like and feedings as well as what time he did those certain things! It helped us once when he was kind of choking on spit up and alarmed us immediately when his Oxygen levels went below 80% with both our phones going off loud and the base station turning red and flashing! Please if you’re thinking about getting one DO IT! We now have such a better peace of mind and get much more sleep! We got a refurbished one and it works like a charm and the battery last about 15 hours. We definitely enjoy the payment plan of just $18 a month for our child’s safety, to give us a peace of mind, AND more sleep! Thank you Owlet!